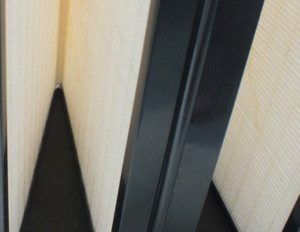 V bank filters, also be called as v cell filters, rigid pocket filters,are the most important part in clean room ventilation systems when filtration level 100 or 10. 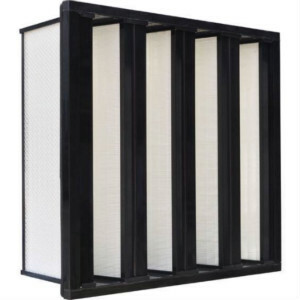 V bank filters are pre filters before HEPA filters, the role and function are same as pocket filters, but v bank filters offer more stable performance. The ‘V’ design provides significantly more surface area than pocket filters, reducing the overall pressure drop in the system and extending hepa filters life. To enlarge the service life of HEPA filters, V bank filters need to remove most of the 0.5um particles with efficiency from 75-99%. Normally, the v bank filters are made of ABS plastic frame, mini pleated glass fiber or pp pack, hot melt glue as the separator, they are manufactured in a double header frame and are relatively lightweight when compared to the overall capacity of the products. As a HVAC filter manufacturer,we manufacture and design different v bank filters based on customers detailed requirements.we know that suitable and good quality air filters would save your money and time，no matter what you needed，our air filters will be satisfied. Various Standard Frame Sizes are available. ASK FOR A QUOTATION, FOR MORE INFORMATION! Which product or service are you interested in?